I see the term “mental gymnastics” a great deal. 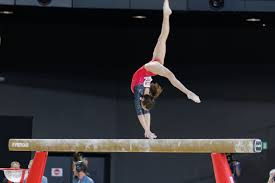 Gymnasts are well trained athletes that must put thousands of hours into their craft just for entry level competition, and Olympic athletes dedicate vast sums of time and effort to training. I’m often bemused by the term, as though being a mental couch potato is better. When the critics use that term they aren’t comparing apologists to dedicated athletes, nor are they praising mental laziness, so obviously something else is going on. Based on my research into the use of words as insults, I think critics use the term as shorthand for deceptive and straining arguments while trying to turn the academic debate upside down. The important connotation with words like mental gymnasts is the contortions that the gymnast must perform. The critics imply that church members must go through all sorts of crazy contortions in order to support the truth. The critic in contrast, can point to their simple narrative as the correct position that doesn’t need explanation. With an increasing discussion of good and bad apologetics, the release of the excellent Greg Kofford volume in the subject, and continuing debate over its methods, the term seems like a particularly egregious, gutter style tactic. I first noticed this trend in the Book of Mormon. In my first book, Bleached Bones and Wicked Serpents, I wrote how “robber” was one of these terms. Throughout history the term was used by various historians to describe what called objectively be called the private armies of individuals. But in situation where the government power was deteriorating the distinction between legitimate agents of the government collecting taxes and ruffians robbing the people became blurry. Hence the term robber could be used against agents of the government, rebels could be called terrorists, terrorists could call themselves freedom fighters, and so on. The term genocide, terrorist, war monger, and even liberal and conservative on occasion are used more often for their pejorative and emotional value than clinical accuracy. These terms shift the debate and put the other party on defense, and even clouds the debate with the FOG of war. (Fear obligation guilt.) Politicians that oppose war feel obligated to reaffirm their patriotism. Those that want to use western land have to wade through guilt inducing narratives from Native Americans and so on. And in the game of politics, the simpler argument usually wins. In the case of the Book of Mormon or other apologetic endeavors, the rhetorical maneuvers actually make an intense study of a topic into something negative. Apologetics seems to be the only field where random memes and face value impressions seem to count more than diligent and thoughtful research. If you disagree with my assessment, try to make an argument about chariots or horses in the Book of Mormon, or a nuanced historical assessment of Smith's marriages to a critic and let the ridicule flow. They preemptively dismiss the idea that translations might be loose, loan words used, history is complicated with incomplete sources, and that the etymology of words allows for alternative interpretations of chariot. (In my study of Chinese, the two character word for palanquin chair uses the primitive for chariot.) Using this technique a mocking comment about submarines counts more than sophisticated insights gleaned ancient seafaring practices. A meme of an Indian being pulled by on a sled by chariots, and other mocking items counts more than a thoughtful study of translations and cross cultural contact. In short then, a discussion of wrong numbers is not only appropriate, its almost one of the first tools developed by modern historians. (I have a chapter in my next book about numbers, and you can previews here and here.) The contrast between the diligent study put into the text, and the seeming ease with which critics dismiss it with a way of their hand makes me feel a good deal like Dr. Evil, and that I didn't go to six years of school just to called Mr., thank you very much. The face value reading of something matters. Strong impressions are vital, and it's possible to connect those impressions to Moroni's promise. But face also has the same Latin route as the word superficial. Assuming that a chariot has to mean whatever was seen in Ben Hur is not a proper way to read and understand a text. I'm often bemused at how cavalier members and critics can be with something that is supposed to be a sacred text. Without getting into a long discussion of the various deficiencies of the church's scripture study program, and the critics have their own issues as well, if a member believes that something is scripture they should be willing to dive deeply into the text's possible literary styles, allusions, patterns, historical antecedents, possible cultural comparisons, moral messages, and doctrinal exposition. In short, while critics use the term mockingly, I think we should be mental gymnasts instead of couch potatoes when it comes to our scriptures. The current use and acceptance of “mental gymnastics” is a way to delegitimize substantive Mormon arguments, solidify their own (often shallow or deliberately obtuse) interpretations of the text, and they do so often unwittingly using a cliché term. Upon reflection, are there any terms that you might use which that are emotionally charged and used to shape the conversation? This post doesn’t mean to imply that every apologetic argument is good simply based on its complexity or number of footnotes. What are some legitimately bad apologetic arguments that stretch to reach a conclusion? What was the most annoying conversation you had with a critic (or apologist)? What is the difference between a nuanced and valid argument, and mental gymnastics that reconciles at any cost? Can you provide examples? This is the my most recent publication from Opslens. I published between two and four articles a week on that site so if you like my writing make sure to check it regularly. I reprint items of particular importance here. Politicians and activists complain that Columbus Day celebrates the genocide of Native Americans. This evokes a good deal of emotion and the idea of genocide is often discussed around Columbus Day and Thanksgiving, but it’s also brought up in various contemporary political debates. Yet the use of the term genocide is not accurate. It contorts the definition of genocide, uses it for its emotional value, and obscures the historical nature of European and Native American interaction. The death of so many Native American was tragic, and certainly judging by today’s standards the Europeans who killed them were racist. That reasoning uses the presentism fallacy, which judges past figures based on modern notions of morality. I like to remind liberals that the Barack Obama of 2013 held a position on gay marriage that the modern left would find incredibly offensive and homophobic. If one of the primary leaders of the left held a position just five years ago that is considered wrong today, it can be expected that people from 500 years ago certainly did. But it was the introduction of deadly diseases into Native American cultures that killed far more natives in a quicker time than most other causes, yet this was not a deliberate and diabolical plan of Europeans. There was no germ warfare against the natives, just tragic cross-cultural contact. The natives didn’t have the same political race consciousness that modern people do. Many Native American tribes actually fought on the side of Europeans against other tribes. The Aztec practice of human sacrifice both angered and frightened their neighbors who quickly joined Cortez. In fact, not only did natives join European fights, but some scholars such as Ross Hassig posit that the natives actually used the Europeans to settle their political scores. The Five Nations of the Iroquois joined the British to fight the Americans, and the French and Indian War featured natives allied with the French. If we are to believe the modern political arguments, these were race traitors serving foreign masters in their own destruction. In reality, each tribe acted independently according to their best interests, which sometimes meant allying with Europeans and exterminating bordering native tribes. Many tribes such as the Plains Cree and Comanche established their own empires in the West by subjugating, killing, and enslaving their Indian neighbors. The concept of noble Native Americans fighting the rapacious white men is a modern invention, often used to inspire guilt in political opponents (like the mayor of San Juan did last week), but doesn’t accurately reflect history. In addition to the Europeans having native allies and vice versa, the Europeans themselves were not a monolithic whole. The Conquistadors just happened to be the most fanatic religionists from Europe that encountered an empire with some of the continent’s bloodiest rituals. Their reaction doesn’t mean every other European power acted the same way. In fact, the Spanish rulers outlawed slavery, and there were many Spanish monks that spent their entire lives ministering to the Indians, learning their ways, providing medical care, and writing down their customs. The actions of the 16th century Spanish should be separated from 19thcentury Americans. There was not an organized and systematic campaign that called for their extermination similar to Hitler or Milosevic. In contrast to Nazis and Serbian killing squads, the fall of natives in America was a series of sad events over 500 years that resulted in their current situation. The Spanish were religious zealots, different from the French whose search for furs led to excessive hunting, and both were different from the English who wanted valuable farming lands. Whenever two people come into contact they have a series of mutually inspired changes and responses. The Europeans established missions or trading posts, or planted new crops. Some groups of natives adopted horses and used gunpowder (and often used those items to exterminate neighboring tribes). Different groups of people interacted with others differently depending on their wants and needs. Unfortunately, the loss of population from disease and the superior numbers of sedentary farmers compared to semi nomadic hunters meant that the Europeans pushed out native cultures. This trend accelerated in the North American West after the American Civil War due to the railroad. But even then it was not a monolithic and organized campaign of extermination, just the extension and sad conclusion of centuries of interaction. All of these reasons mean that term genocide is used because of its emotional value and not because of its accuracy. Many of the modern users of the word have a much politicized version of history that generally views dead white men as the villains. This over-politicization is misguided on several fronts. In addition to the needless simplification of history described above, the concept of whiteness is extremely fluid. For example, when Southern and Eastern Europeans migrated in large numbers in the late 19th century, Americans reacted with fear and horror that their country was being taken over by dark skinned Italians, Spaniards, and Poles who had values that were not compatible with Western ideals. But Columbus the Italian and Cortez the Spaniard are the individuals that first started this supposed genocide. In other words, they weren’t white enough to settle in the USA during the late 19th century, but liberal academics believe the 16th century Spanish and Italians were the epitome of white when they supposedly started the genocide against the natives. The Native Americans can point to a long list of unfortunate events and even abuses. Their plight throughout the years has often been incredibly tragic. They lost huge numbers of people to disease the first few generations after contact with the Europeans. They were also part of a competition between and among nations that included natives allying with the Europeans and vice versa. 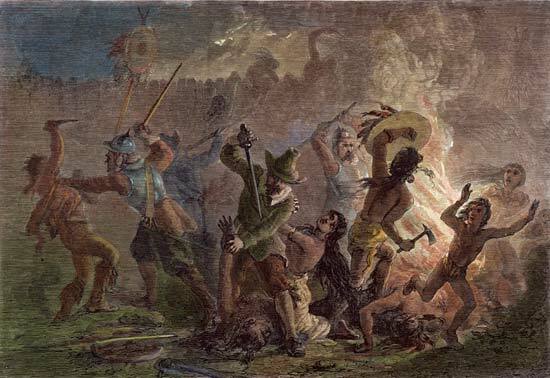 The attacks on the natives were part of a rather common pattern of warfare that Europeans used against each other, and that the natives used among and between each other. So, on the next Columbus day, call for indigenous day, or politicized racial attack on white people, it’s important not to be afraid of the political cudgel of misused history, but to respond with a nuanced and thorough understanding of it that says this was not genocide against Native Americans and that there is plenty to celebrate about Columbus. Thanks for reading. I work as a free lance writer. If you found value in this work please consider donating using one of the pay pal buttons below.